Weddings are a blissful affair and what comes after it has to be more divine. To add some strokes of romance and affection to the post-wedding life, one needs to plan a pleasant honeymoon trip. On this trip, the newlyweds get time to explore their newfound relationship. And this has to be someplace special, right? With all the beauty, diversity and glory, India offers a multitude of destinations which are ideal for a honeymoon trip. If you’ve been planning to spend the special moments in the mystical land of India, take a look at the top honeymoon destinations that are trending in 2017. Located at the shores of the Arabian Sea Coast, Goa is a little heaven on earth. It is bestowed with fascinating waters, pristine beaches and multi hued flora and fauna. Goa is one of the most prized beach destinations in India where you will find the rich Portugese culture, mouth-watering seafood and a lot more exciting things. Here, you can party all night or spend some romantic time with your beloved on an exotic beach. So we’re saying: Experience the warm sun, golden beaches, endless sea and a romantic walk by the beach. Located off the East coast of India in the Bay of Bengal, Andaman & Nicobar Islands are known for the enchanting beaches and sparkling blue waters. There are many secluded hideouts where you can spend some memorable time with your partner. These islands also give you an opportunity to indulge in various water sports like scuba diving, snorkeling, water-skiing, windsurfing and more. So we’re saying: Make the most of the splendid opportunities offered at these islands for a memorable honeymoon. Srinagar has always topped the list of honeymoon destinations in India. It stands out as one of the most romantic places to be; a place where you can get lost in the nature (with your partner, of course). 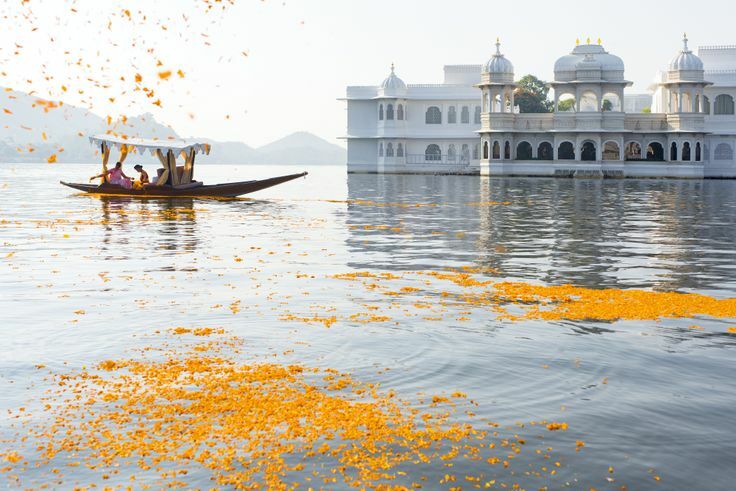 Imagine lying back on a houseboat or Shikara with your better half on the shimmering water of Dal Lake, or taking a walk in the mesmerising Mughal Gardens. Sounds surreal? Well, head to Srinagar and experience for yourself. For a hearty affair spend your honeymoon in the heart of the Thar Desert – Jaisalmer. The ‘Golden City’ of Rajasthan is all about art & crafts, culture and tradition and warm desert air fondling with your hair. The awe inspiring sight of the desert, camel safari and visit to the magnificent havelis and forts will add a royal touch to your honeymoon. So we’re saying: Choose to stay at a desert camp and spend your cherished days amidst the golden sands. This is yet another exotic honeymoon destination in the state of Rajasthan. Popularly known as the ‘City of Lakes’, Udaipur is bestowed with an enticing panorama, that attracts couples, especially newlyweds. The forts, palaces, lakes and heritage properties add a hint of grandeur to the romantic getaway. So we’re saying: Cruise the calm lakes and take a tour of the palaces, havelis and crooked, rustic streets. How can we talk about honeymoon destinations and not mention Kerala? Out of many fascinating destinations in Kerala, Alleppey is one of the most preferred honeymoon destinations. The silent backwaters, beaches, canals and houseboats will enhance the romance in your life. Experience everything beautiful amidst the exquisiteness of nature and cherish the simple joys of life. So we’re saying: Unfurl your romance in this beautiful backwater destination. Honeymoon in Manali is for the nature lovers out there. The pristine beauty of this hill town acts as a magnet for the honeymooners and tourists alike. Manali offers superb views of the lofty mountains, hippy villages and lovely Beas river, which are ideal for a romantic time out. So begin the new journey of life embraced by these mesmeric creations. You can also partake in the adventure activities like skiing, trekking, rafting and paragliding. So we’re saying: Add a touch of adventure to your honeymoon at this beautiful hill retreat. Always dreamt about spending honeymoon in Scotland? Well, we have our own Scotland in India and it’s beauty is nothing compared to. This hill town near Bangalore will make you feel like you belong there. The quaint homestays amidst the jade green hills will make for a truly delightful and rejuvenating experience. So we’re saying: Add more colours to this divine relation of yours in the scintillating hills of Coorg.